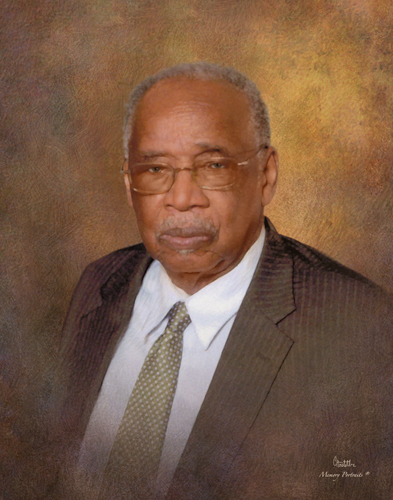 Aiken, SC--A celebration of life service for Mr. James E. Scarboro, Sr., age 78 will be held 11:00 am Wednesday June 20, 2018 at the Kingdom Hall of Jehovah’s Witnesses on Whiskey Road, Aiken with Brother John Fridie officiating. Mr. Scarboro entered in to rest Thursday June 14, 2018 at Aiken Regional Medical Centers. He was the beloved husband of 54 years to Mrs. Edith Mae Washington Scarboro, and a son of the late Mr. Luby Scarboro and the late Mrs. Martha Donald Scarboro. Mr. Scarboro was born in Middlesex, NC and had made Aiken County his home since 1973. Mr. Scarboro had been employed at the Savannah River Site and Plant vogle and retired in 2003 at Shaws Carpet with 10 years of service, and was also a member of the Painters Union in New Ellenton, SC. He was a veteran of the U.S. Navy and a member of the Central Congregation at the Kingdom Hall of Jehovah’s Witnesses on Whiskey Road, Aiken, SC. Additional survivors include four sons, James E. (Shirlen) Scarboro, Jr., Windsor, Michael (Crystal) Scarboro, Aiken, Randy (Shannon) Scarboro, Etica, NY, Nicholas (Donelle) Scarboro, Lexington, SC; two daughters, Sheila Griffin, Buford, GA, Danita (John) Cox, Garner, NC; seven brothers, Thomas Donald Kenly, NC, Nathan Scarboro, Long Island, NY, Luther Scarboro, Alexandria, VA, Wilbert Scarboro, NC, Roosevelt Scarboro, NC, Joseph Scarboro, Selma, NC, Rodney Scarboro, Selma, NC; three sisters, Mamie Bass, NY, Esther Atkinson, NC, Carolyn McPhail, Lawrenceville, GA; Five Grandchildren, Stefon Scarboro, Evelyn Dumbar, Terrence Griffin, Michael Scarboro, and Ethan Scarboro. Mr. Scarboro was also predeceased by one brother, Robert Scarboro. Pallbearers will be: ___________________________________________________ A visitation with the family will take place 6-8 pm Tuesday June 19, 2018 at COLE FUNERAL HOME 1544 UNIVERSITY PARKWAY, AIKEN, SC, 29801. 803-648-7175. Please sign the online registry or order flowers at www.colefuneralhomeinc.com.